Released at the beginning of 2011, the LG Optimus 2X SU660 is a 3G-enabled smartphone with a-GPS support that was designed and also manufactured by LG Electronics. 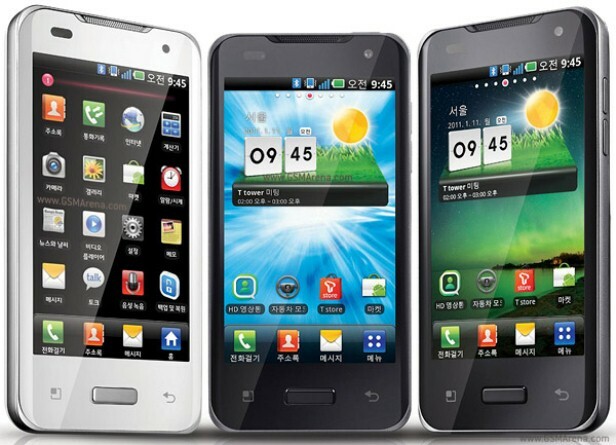 Being one of the older models from the brand, this is also one of the first smartphones with a dual-core processor made available all over the world. If you are the owner of this LG device and have been dealing with a few problems such as app errors, freezes, or you forgot your password, we have a solution that might work for you. To regain functionality of the phone and get rid of most software issues quickly, we recommend hard resetting the LG Optimus 2X SU660 to factory soft. Bear in mind that this procedure will also renew the memory of the phone, meaning all the data stored on it will be erased. Before moving any further, you should know that this phone runs on Android OS v2.2 (Froyo) and its operating system can be upgraded to v4.0 (Ice Cream Sandwich). The LG Optimus also features a 1500 mAh battery that supports up to 300 hours of stand-by and 6 hours talk time. Being a high quality smartphone, this one can also be used to take photos and record videos, using one if its camera: the 8 MP main one or the 1.3 MP rear one. As previously mentioned, the best way to bring the LG Optimus to its original functioning state is by doing a master reset. Also known as a cold reset, this is a simple process that will reset the device back to its original settings and give you a blank memory. Given this aspect, wit’s indicated to create a backup of the data on the phone, so you avoid losing anything important. From music to pictures and applications to contacts in the phone, you wouldn’t want to reset the device with the price of losing everything, would you? Therefore, to save the necessary files you can use the USB cable to connect the LG to a computer or transfer them onto a cloud. If you’d like an even easier way to do so, you can also use the Phone Copy application that works on most Android phones. Go to the Menu and tap Settings. Tap Reset Phone to continue and Erase Everything to confirm. Make sure the device is turned off and charged up to 80%. Press the Power button and Volume Down key simultaneously. The phone won’t go into a Recovery Menu, but simply turn on and begin the hard reset procedure automatically. Both methods are pretty easy to perform, given the fact that most of the procedure is done automatically, and the required instructions are always available on the screen. Simply follow any additional steps as indicated by the phone and make sure you don’t interrupt at any time.